7/14/13 SOJO at the 2nd Annual Art for SART Event, RoxyAnn Winery! Come watch painting and sculpture in progress or bid to become part of the art unfolding around you, including a Film Noir movie trailer. You can dance to Big Band and jazz and bid on fine local wines – or take part in Art for SART’s second annual tableau vivant, costumed and posed as a Hollywood star making a red-carpet entrance. Proceeds will help fund JC SART’s crucial free services for area victims of sexual assault, and their prevention programs. 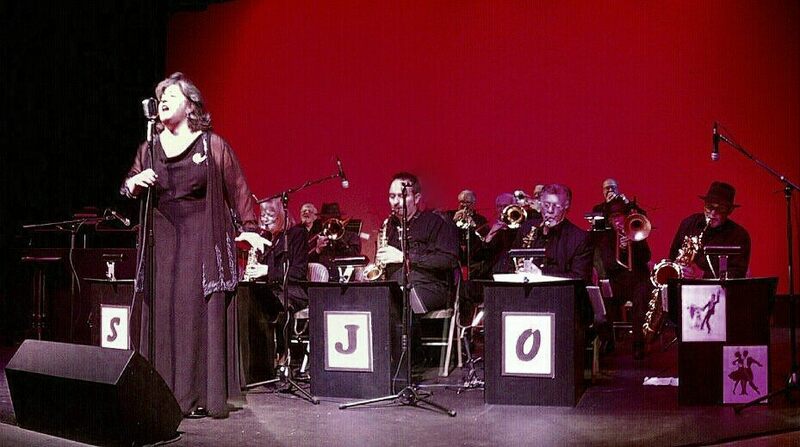 This entry was posted in Southern Oregon Jazz Orchestra on July 12, 2013 by diannestrong.